Let me simplify the concept for you. Are you familiar with the curve? 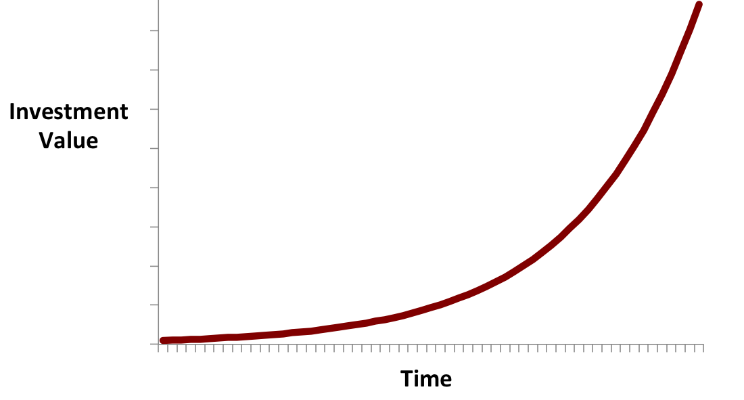 The curve above represents one of the most fundamental concepts in Finance - Compound Interest. Albert Einstein called the compound interest "the greatest mathematical discovery of all time". It is when interest of a principal sum of a loan or a deposit is reinvested. As a result, interest in the next period is then earned on the principal sum plus previously accumulated interest. The idea of compound interest however isn't just exclusively for the field of Economics. It applies to other areas of your life too. And that is what I am going to share with you today. If you eat a cheeseburger today, will you get obese the next day? Probably not. But if every day, you eat a cheeseburger, and let's say you continue the routine for the next 365 days, what would your body look like 365 days later? It will probably grow in size. If you do 10 push-ups every day, and do it consistently even if you don't feel like doing it, for the next 365 days, what would your body look like? You probably will have grown some muscles. That's the power of the compounding at work - the power of repetition, the power of repeatedly initiated action. The impact we get on our life is dependent on the small daily actions we take day in and day out. If we make the right choices today, compound it over time, it will take us higher and higher up the success curve. Vice versa, if we make the wrong choices today, compound it over time, our life will spiral downwards. Are we having a microwave mentality? If so, we might need to drop it. We live in a world where many of us have a microwave mentality, we want quick, instant results and instant gratification. Our culture demands everything NOW. So often, when we see some successful person, we would say they are lucky. 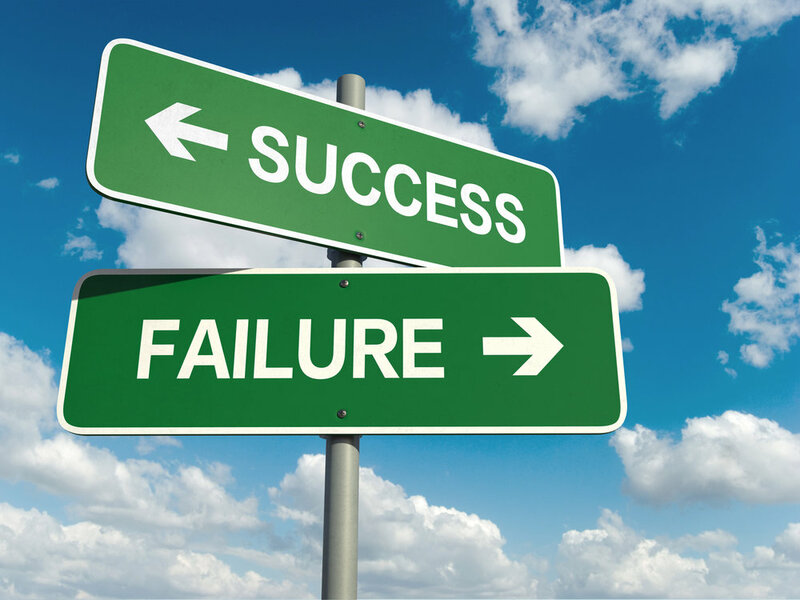 We fail to see the stages they went through and the changes they have to make before they become successful. How often do we find ourselves in the following scenarios? We want our food ready in 2 minutes. We feel frustrated when we wait 30 minutes for a movie to be downloaded. We could't understand why there is a line for the McDonald's Drive-thru. Going to the gym and exercise today and tomorrow will not give you a six pack. Just like reading a life changing book today or tomorrow will not make you successful instantly. Everything takes time, just like how we were formed in the womb, it took 9 months, just like how we first learned to walk or bike, it takes time too. Are we building good habits? Habits are things we do unconsciously without fail like taking a shower, brushing our teeth twice a day. Are we building the right habits? The right habits that are repeated over time will take us in the right direction. We must track everything that we do so that we can determine if the habit is moving us towards or against what we want to achieve. Good habits are building blocks that will build your character. According to research, if you repeatedly do something for the next 21 days (now the keyword is repeatedly and consistently), it will become a habit. Getting rid of bad habits might be difficult but it is always possible to replace a bad habit with a good habit. Are we doing the small and mundane things that matter? "Those little things that will make you successful in life, that will secure your health, your happiness, your fulfillment and your dreams, are simple, subtle, tiny things that nobody will see, nobody will applaud, nobody will even notice. They are those things that, at the time you do them, often feel like they make absolutely no difference...like they don't matter. But they do!" Do you have the discipline and willingness to do the unsexy, mundane and unexciting things that matter on a consistent basis? It is doing the activities that you dread but do it anyway. I promise in the process of doing those small things that matter you will build character. Successful people and unsuccessful people have one thing in common - they both hate doing the same, mundane things. They difference is successful people do them anyway. Now, let's take a look at how you can apply the compound effect to your life. Think about what you want to accomplish in a week, a month or a year. Most importantly, attach a why to each goal. How is the goal aligned to your values, your purpose for living, your calling, your faith and your family? In order to see your goals come to fruition, your goal must be deeply connected with your values and your desires. While you are setting goals, it is okay to set big goals. However, big goals will not be achieved unless you take small steps. It will help to break your big and ambitious goals down into a series smaller and manageable goals. Have a game plan mapped out on how you can achieve those goals you have set for yourself. Developing a game plan is crucial to keep you on track towards your goals. At every small step along the way, you should be able to point to certain milestones and say, "Here's where I am in the journey, I have come this far and I have this far to go." Don't worry if things don't go the way you planned. Game plans do change. If you play competitive sports like football or basketball. A coach understands that the game plan for the first half of the game is usually not the game plan you will follow for the second half. You make course corrections frequently. This applies to your game plan as well. Now comes the hardest part, are you ready? The secret to getting anything you want in your personal and professional life is to commit and execute your game plan. If you want to grow yourself personally, it might be reading 5 pages of a personal development book everyday. If you want to have a six-pack, it might be doing 10 push-ups everyday. If you want to have a clearer focus for the day, it might be meditating for 5 minutes everyday. Whatever your goals or game plans are, commit to them. I guarantee that after 3 months, it will completely transform your life. That is when you will personally experience the compound effect in your life. "Little incremental changes actually produce pretty big results." Challenge yourself to take tiny little steps one at a time in achieving your goals and do it consistently, daily, monthly, yearly and you will be surprised by how much changes it will bring to your life when you look back. Do not expect things to be perfect every time, and do not expect to be an overnight success. Because it won't. Set goals, map out a game plan and commit to it everyday. Even when you don't feel like doing it, even when you feel uninspired or even when you are doubting yourself. Just take one tiny step at a time because consistency means you are making progress even when you are not "feeling it".